Long Beach, CA – Brittany Wagner, from Wisconsin was crowned Ms. America® 2018 at the national pageant held Saturday, March 10, 2018 at the Queen Mary in Long Beach, California. Wagner’s walk across the stage to accept the crown as Ms. America® 2018 marked her first steps on a journey that will take her from spotlight to spotlight representing an organization that enriches the lives of women across the country, who are passionate about giving back to others through philanthropic endeavors being the inspiration that helps others achieve their dreams. 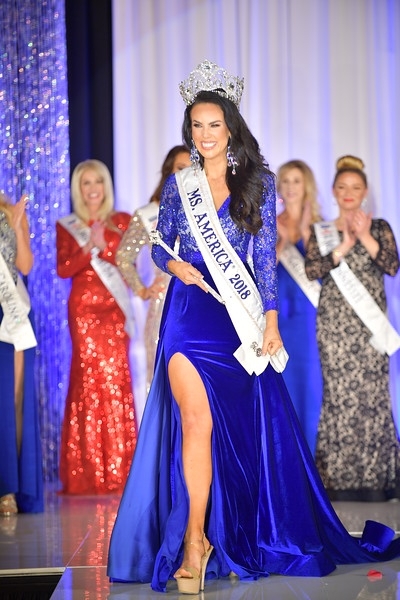 Ms. America® 2018 – Brittany Wagner is a graduate of The New York Film Academy with a degree in Acting and a graduate from Victor Valley College with a Liberal Arts Degree. As a professional actress and model for 10 years, she is co-staring in the 2018 film "Bachelor Lions." She is a spokesperson for the American Diabetes Association and has been advocating at all their annual events for the past 7 years, after her father passed away from complications of Diabetes. Brittany is the Gala Committee Chairman and member of the Advocacy Committee. For 2 years, Brittany educated on etiquette at the Women’s Empowerment Conference at USC, an advocate for Brain Injury and Breast Cancer Awareness at several walks and marathons. She has been involved in pageants for over 18 years at the local, state, national and international levels. She feels being an active queen and representing her community is one of the most rewarding experiences ever. Ms. America® 2018 first runner-up is Sarah Blanton Ramsey, Ms. Texas; second runner-up is Sherrie Gearhart, Ms. Illinois; third runner-up is Dee Lane, Ms. North Florida; and fourth runner-up is Tina Abbantangelo, Ms. Nevada. 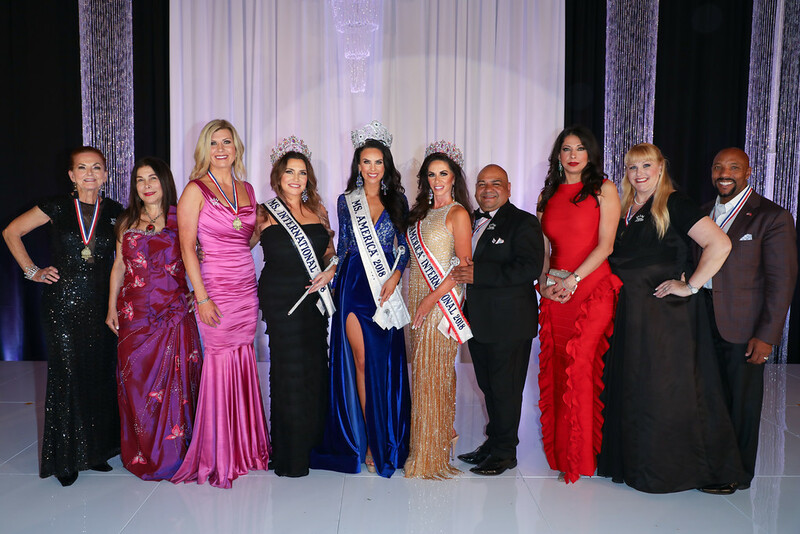 Ms. America® International 2018 went to Kimberly Jones, Ms. Sonoran Desert. 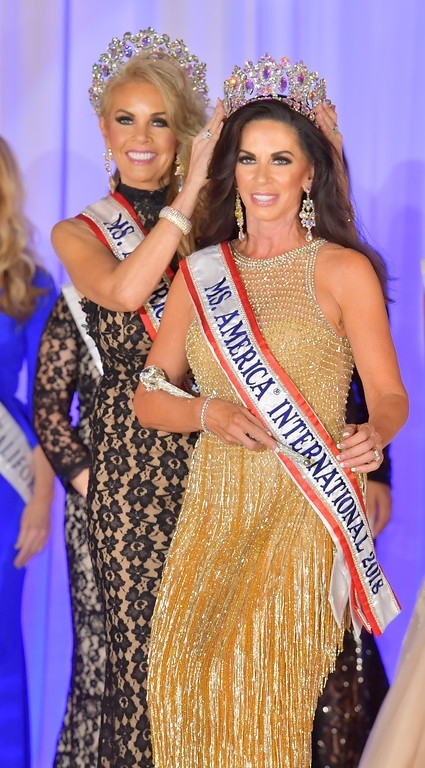 Ms. America® International represents women 40 years of age and up who are single divorced or married with a dedicated platform they are an advocate for. Kimberly Jones, from Scottsdale, AZ, is a Certified Public Accountant and a Supervisory Federal Agent with the Treasury Department. Her platform is Care for the Caregiver-Survive and Thrive, and it focuses on providing support and resources to caregivers of traumatic brain injury survivors. 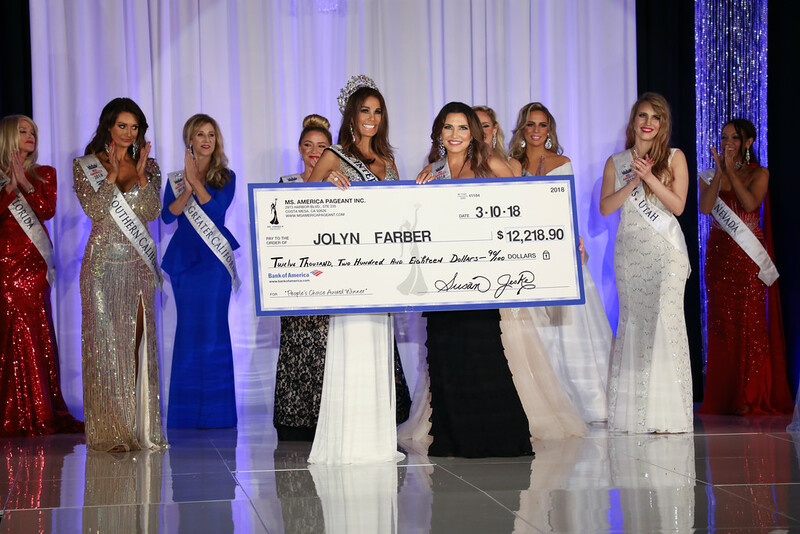 Ms. International™ 2018 went to Jolyn Farber, Ms. New York. She was also the People’s Choice Award winner and walked away with $12,218.90. Jolyn earned a Juris Doctor and worked as Fortune 500 attorney until opening her own successful real estate investment company. Jolyn advocates for Mental Health Awareness and supports openness, empathy and action regarding the stigma and bias surrounding mental illness. People from across the globe connect with Jolyn through her social media accounts and speaking engagements. 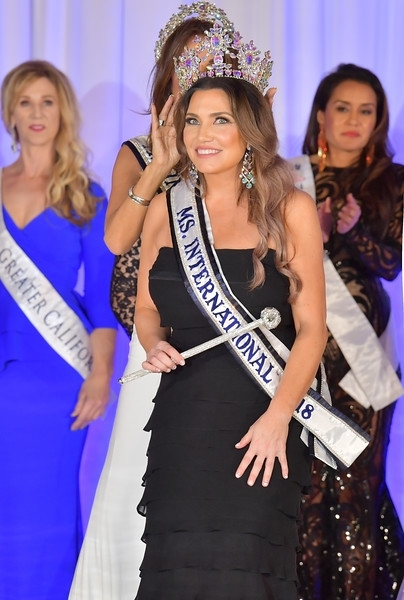 She is so proud to be Ms. International™ and to follow in the footsteps of the many accomplished women who have held the title over the years. Live streaming was provided by AlertTheGlobe.com with hosts Stephanie Mills, Ms. America® 2015 and Scott Stewart, the host and producer of the TV show “What’s Up Orange County” that airs on KDOC, Time Warner and Cox Communication. Official Photographer was Daniel Pham and special entertainment provided by Brooke Mills. Sponsors for this year’s Ms. America® Pageant Inc. are California Body Sculpt, Just Pure Essentials, Episkinz, New Beginnings, Claire's Collection, AlertTheGlobe.com and Apollo Printing. About Ms. America® Pageant Inc. The Ms. America® Pageant is a California Limited Liability Corporation that currently owns and runs the Ms. International™, Ms. America® and Ms. America® International and Miss Pacific U.S.™ contests. The pageant is for women 26 years of age and up who are single, divorced, widowed or married. 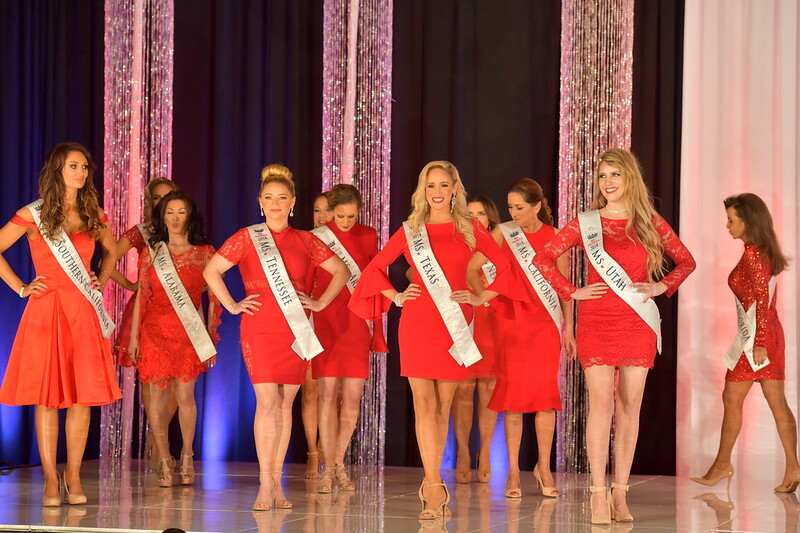 There are four areas of competition: Evening Gown, Interview, Sportswear and On-Stage Question that are each worth 25% of their total score. 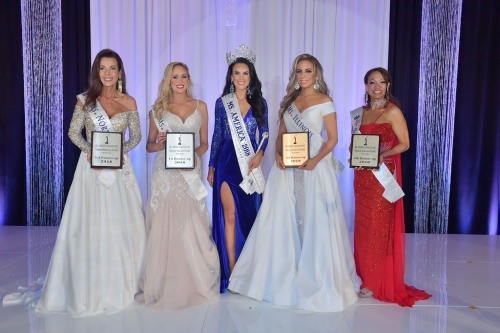 Ms. America® 2018 is for women 26 years of age and up, Ms. America® International 2018 is for women 40 years of age and up and the winner of the Ms. International™ 2018 is based on her ability to do consistently well throughout all areas of the pageant; judges competition scores, ads sold in the program book and People’s Choice thru Internet Voting. CEO of the Ms. America® Pageant Inc. is Susan Jeske from Orange County, California. Susan’s background includes over 20 years in the beauty industry and was crowned Ms. America® 1997 at the Luxor Hotel in Las Vegas besting 50 other contestants. Her platform was “Students Against Violence” and she made over 150 presentations to schools across the country. Susan is also known for holding the Guinness Book of World Record for singing the National Anthem at the most events in a 24-hour period and has sung the National Anthem for 7 United States Presidents. She received the Lifetime Achievement Award from the President of the United States for her volunteer service. Website about Susan Jeske: www.SusanJeske.com. Ms. America® is a registered federal trademark with the USPTO in Washington DC since February 2000. For more information, go to www.MsAmericaPageant.com and www.MsInternationalPageant.com. Connect with the Ms. America® Pageant on Facebook: www.Facebook.com/MsAmericaPageant and on Twitter at www.Twitter.com/MsAmerica. For media inquiries, interviews and appearance requests, please contact Kelly Bennett of Bennett Unlimited PR (949) 463-6383 or kelly@bpunlimited.com.